Each month, Eleanor Whitney will share tips and ideas in her column: Navigating your next step: advice for mid-career professionals. 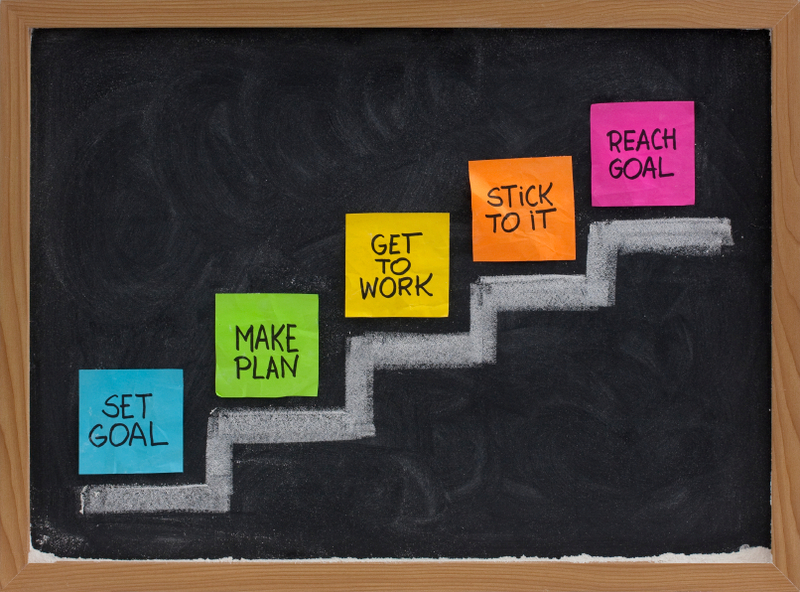 Have you made your career goals for 2013? The change of calendar year is a classic time to reflect upon and recognize your accomplishments from the last year and chart a new course or continue on a chosen path with new energy and renewed intention for the year ahead. However, a common stumbling block in New Year’s goal setting, as discussed recently in the New York Times, is that we tend to set goals that are too vague and too overwhelming to be realistically achieved. To define achieve able goals you don’t have to give up your ambitions, but you do have to be strategic about them. For example, one of my goals was to pick up more freelance work. This goal sounds reasonable, as I already freelance outside my fulltime job. However, when I posted about my hopes for the New Year on Facebook my friend Maria — who has her Master’s in arts management — encouraged me to turn my vague resolutions into S.M.A.R.T. goals. S.M.A.R.T. stands for a variation of: specific, measurable, attainable, relevant and time-bound. If your goal meets each of these criteria, it is much easier to achieve because you have a clear vision of what you are working towards. So when it came to getting additional freelance work, I had to get more specific: How much additional work am I looking for? What types of projects do I want to work on? When I made my goal S.M.A.R.T. I broke it down to the following steps: Follow up with current clients and let them know I am available to work on additional projects in the next month; Ask current clients to refer me to their contacts; Launch my portfolio website by March and make it clear I’m available for grant writing and project management gigs; Meet up with other freelancers monthly for networking, events and work sessions. By making my goal S.M.A.R.T. I have a game plan to follow and also have crafted my goals so that I can accomplish them given my busy schedule. Another strategy for achieving your career goals is to make a personal strategic plan. I interviewed Justin Hocking, who is the Executive Director of the Independent Publishing Resource Center in Portland, Oregon, for my upcoming book and he discussed the importance of having a strategic plan for his organization and for his own career as a writer. As you are making your goals think about how they relate to where you want to be in one year, three years and five years. Linking your goals to a larger vision can keep you motivated and bring that larger vision within your grasp. Have a vision for your career in five years. This may change, but knowing where you want to be can help you break down the steps to get there. Consider your career in balance with the rest of your life. What else are you working this year? For example, if you are planning your wedding in addition to working towards a promotion, that may be too much to balance. Translate vague resolutions into strategic, measurable, attainable, relevant, time-based (S.M.A.R.T.) goals. You may need to break one resolution into several goals to it order to make it specific enough. Have an accountability partner. Find a friend, colleague or mentor with whom you can check in with you about your goals on a regular basis, such as monthly, to discuss your progress and keep you engaged in working towards your goals. Acknowledge and celebrate your success. When you achieve your goal, however small, celebrate! Did you have a goal to network with four new people this month and you stuck to it? Great! When you acknowledge your success you will be motivated to continue. What are your goals this year? What are strategies you use to keep yourself on track and to work towards them? How do you push through any roadblocks you encounter along the way?